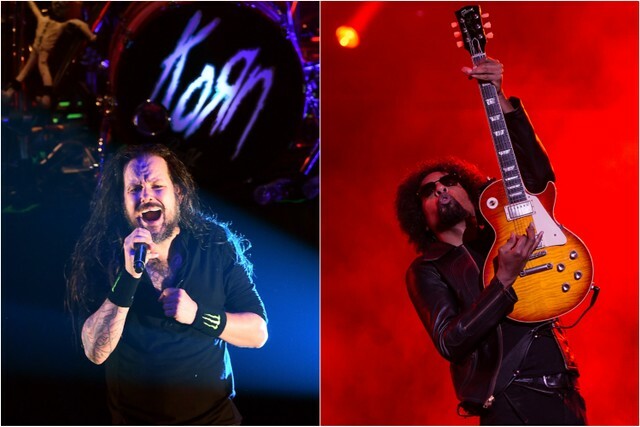 Korn and Alice in Chains have announced a lengthy North American tour for summer 2019. The dates kick off in July in Del Valle, Texas, before heading to the Northeast, Midwest, and eventually to the West Coast in early September. The tour wraps in Mountain View, California at the Shoreline Amphitheatre on September 4. The co-headliners will be joined by Underoath on all dates, with Ho99o9 and FEVER 333 opening select shows. Find the full list of dates below.